Happy September!! We are back with our Tunisian crochet along. If you missed any of the previous patterns, you can always find them by clicking here. Let’s get stitchin’! I can’t believe that it is September already. The kids have headed back to school, the air is turning cooler, and thoughts turn to all things Fall – apples, leaves changing colors, and football. 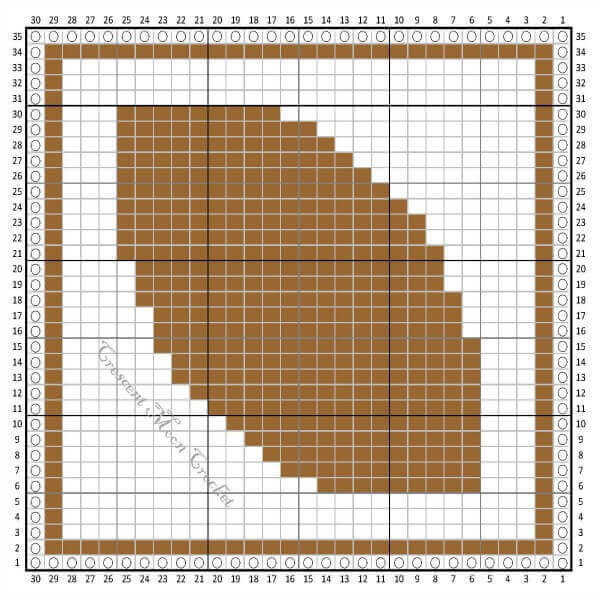 This month’s pattern is a football because one of my favorite things to do in the fall is to watch football while crocheting (and of course have my pumpkin spice coffee next to me). The pattern is just a plain football shape, but would look great with some added stitching details stitched on in white. And if a football is not your style, don’t forget Kara’s apple pattern from last year.